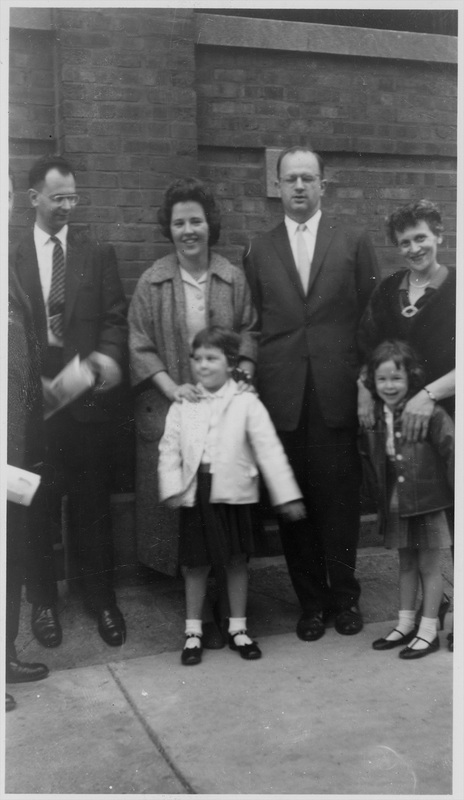 Unidentified man who is partially cut off; Marc, Rita, R.S., and Rosamond Mendelsohn stand in front of a brick-walled building. Rita has her hands in front of her on Ruth’s shoulders, as does Rosamond on Sally’s shoulders. Rosamond, Sally, Rita, and Ruth are smiling.